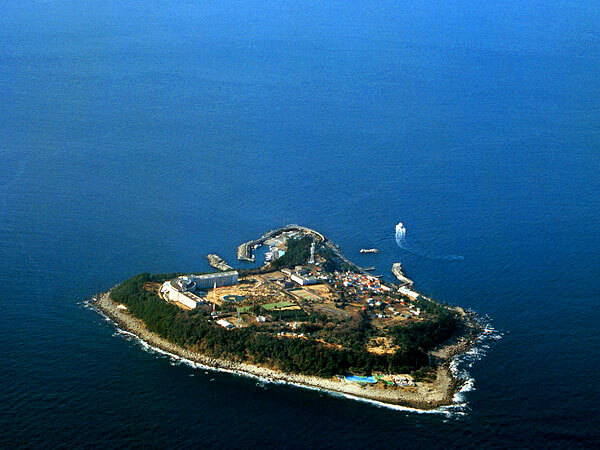 Provided you have a day off from work, on a beautiful sunny day, and you stay close to Tokyo, or just simply looking for a day out doing something different, there is a nostalgic small island named Hatsushima. 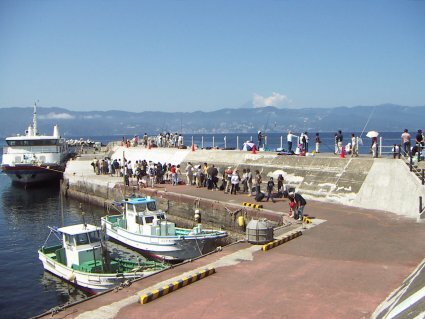 It’s a 25-minute ferry ride from Atami, that you can reach only in 1.5 hours by train from Tokyo. It’s a very local yet a precious place to fall in love with nostalgic Japan. Here is a brief guide of Hatsushima. Unlike Enoshima, for those of you who are falimiar with the term shima, meaning ‘island’ in Japanese, you need to take a ferry to get to Hatsushima. The ferry departs from Atami harbour, where you can walk from Atami train station, enjoying the touristic shopping along the way. Please mind the ferries timetable, especially for your return, because it runs hourly and stops its service before 6pm. If you miss the last return ferry, don’t worry. There are some minshuku, classical Japanese hotels, in a vicinity of Hatsushima harbour. After cozy yet definitely one of the spirited away-ish ferry rides from Atami, this island welcomes you with a pure smell of the ocean. First, you will be shocked by the numbers of people fishing there. Fishing is the main activity on this island. This simple sight somehow reminds us that we are all human. Then, restaurants. Most restaurants are located in the harbour’s front, so if you arrive with an empty stomach, it’s the best place to enjoy fresh sea food. They offer raw/roasted fish, shellfish, and iwanori – unprocessed fresh seaweed, special dish in Atami area. Again, mind the time as they close around 5pm or earlier depending on the outcome of the fishing. You can explore the island by foot. It does not take more than 1 hour to go round. In case you get lost, almost all the roads lead to the harbour, so keep walking. There is a beautiful spa at the other side of the harbour called ‘Yunoshima’. It’s a sea-water spa where you can look over the entire ocean from the bathtub. Please go naked. It’s very liberating and refreshing experience to be soaking in hot sea-water which makes your skin beautiful and helps your digestive system. If you are an active person, there is an inland athletic playground called Sarutobi. You’ll be moving and jumping around in the wildness of Hatsushima like a monkey. Also, there is a scuba diving centre where you can learn how to and then dive into the sea. On top of the island, you’ll find a petit lighthouse which offers spectecular view of the Japanese ocean. On a clear day, there is a high chance to see Mount Fuji. Please follow the instruction of local people if you intend to swim on this island because the seaside might be rough and rocky. Probably Hatsushima is just another one of small islands in Japan, yet people have been living there for over 7,000 years. You will see a gigantic pine tree associated with a myth about a girl waiting for her love and a wooden low-rise school which you can’t find in a city. Once you step in to this island, your body starts sensing how it would be like living on a small Japanese island. Nostalgic unforgettable moments are awaiting you! Why Do So Many People Carry a Handkerchief in Japan?